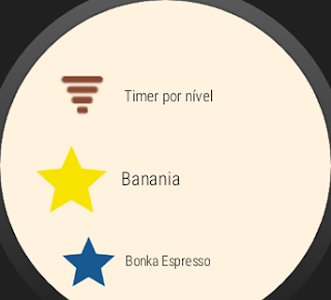 The Dolce Gusto Timer application helps in the preparation of Dolce Gusto beverages in non-automatic machines indicating switching off the machine according to the chosen beverage using an audible alarm and vibrating the device. 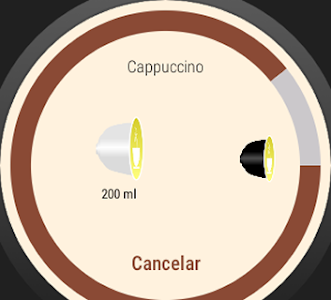 Also includes records of beverages to control their personal stock of capsules, with the option to warn when the capsules are finished. It has a control as being the preparation of beverages and monthly historical recent months. 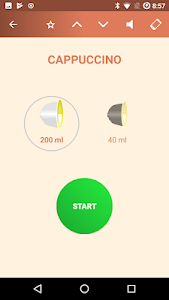 You can choose which dish will be prepared, just tap on the desired capsule: 1 or 2. 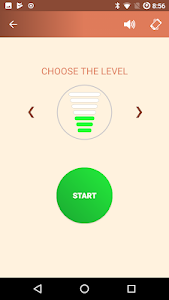 Option of preparing the beverage using the level indicated in the capsule. 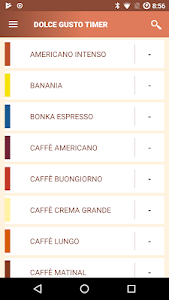 The trademark “DOLCE GUSTO” is a registered trademark of Société des Produits Nestlé S.A.. Dolce Gusto Timer is not an official application and its developer is not associated with any Nestlé-affiliated company nor it is an authorized retailer of Nestlé products or services. - Yury Chernoplechy (Russian translation). 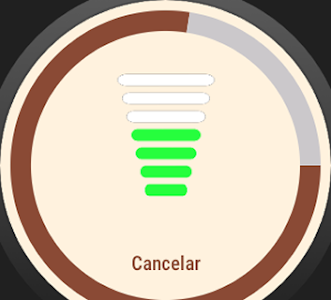 Now the app keeps the amount of each capsule customized by the user. 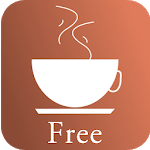 Similar to "Dolce Gusto Timer Free"